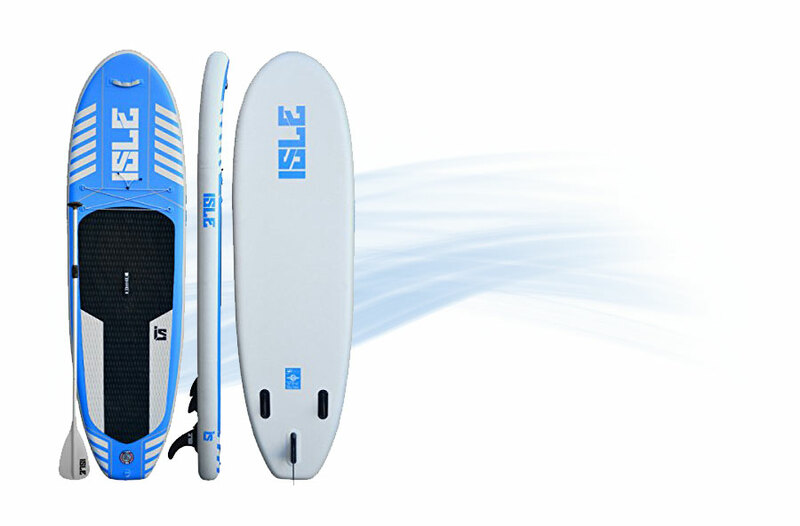 Summary: The iRocker Paddle Board is six inches thick and it inflatable. 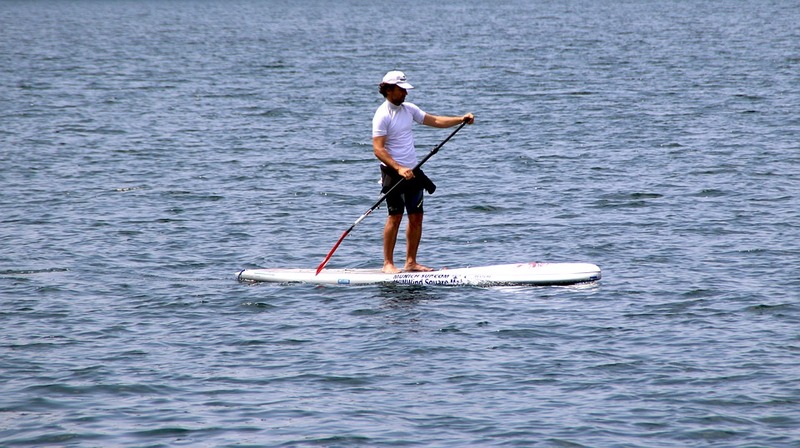 It comes with the SUP package and can be used for various yoga exercises. Each purchase comes with a two year warranty. 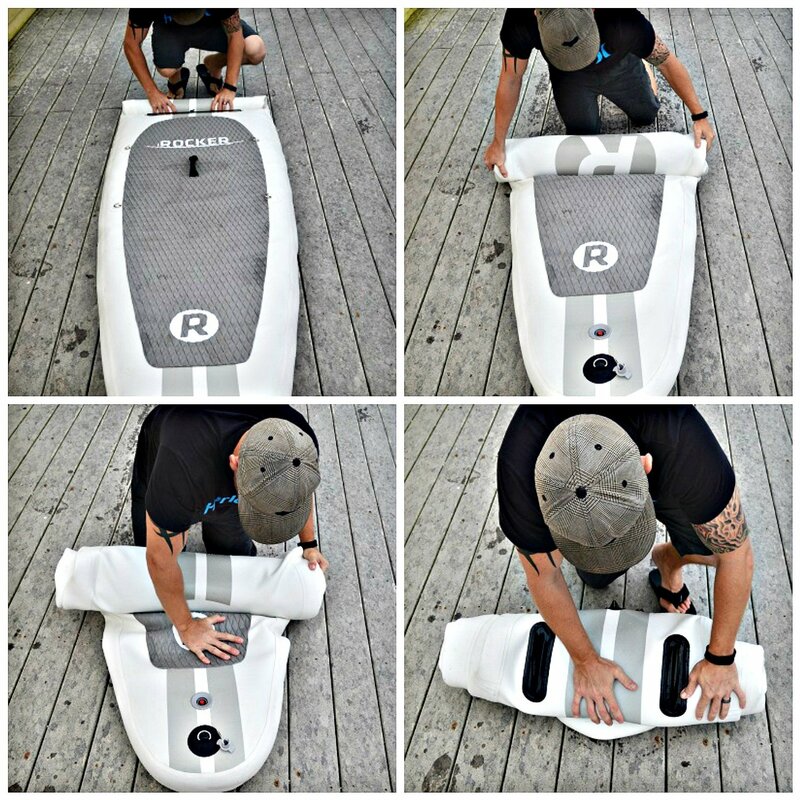 This inflatable board can hold up to 385 pounds which makes it very durable. It is similar to a hard board when it is fully inflated. This board can be inflated up to 15 PSLs. This board is also durable. It is military grade and constructed with top quality material. A person can even run it into a rocky area or run it over with a car and the board will not be damaged. It is almost indestructible. The inflatable board is portable as well. There is no need for special tracks on the roof of the card. It can be put in the trunk and mixed in with the luggage. 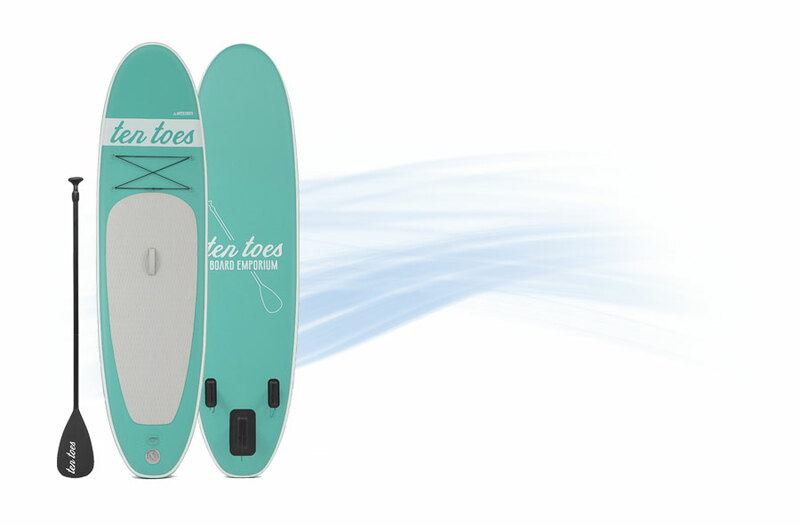 When a person purchases the paddle board they will be getting a complete package. 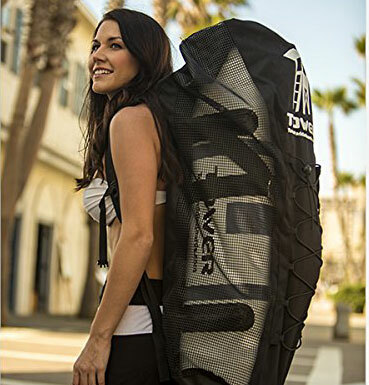 Each package comes with one board, a hand pump that is duel action and high pressured, aluminum paddle that is adjustable in length, a back pack to carry the board, as well as a repair kit in case of emergencies. Each paddle comes with a two year warranty that will cover any issues a person has with the board except normal wear and tear from use. The iRocker Inflatable Paddle Board is one of the best inflatable boards that can be found on Amazon. The average customer review is 4.8 out of 5 stars. 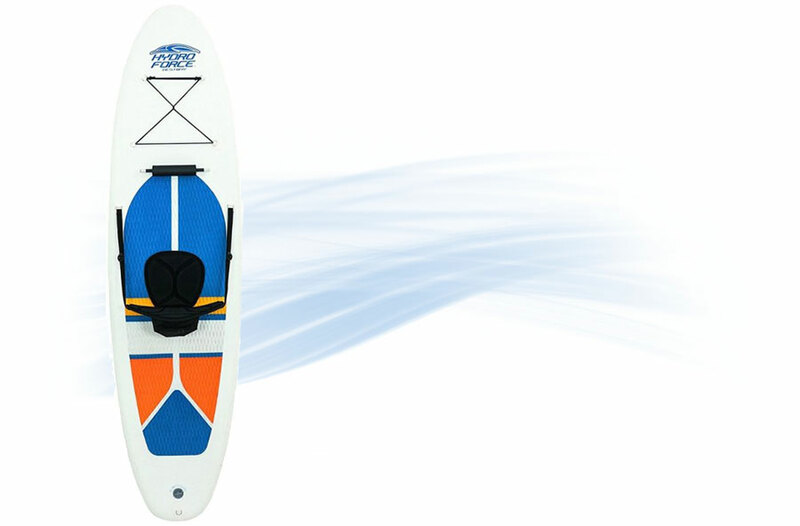 This board is great for those that want to have some fun on the water. 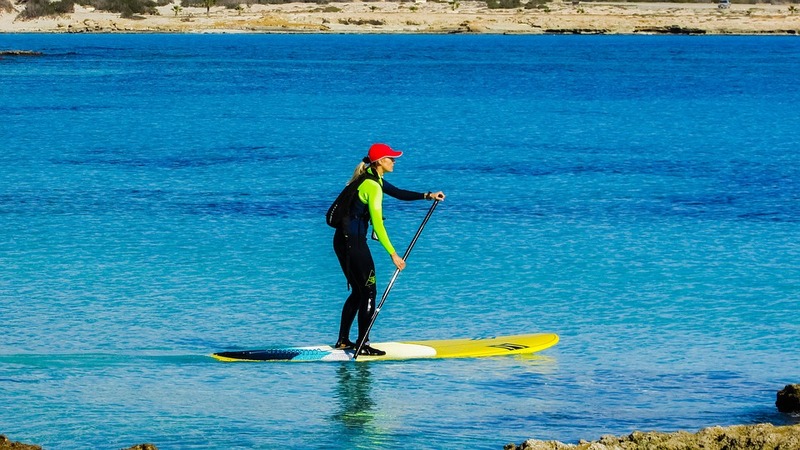 This inflatable paddle board is so much fun and there are many things that are included when a person purchases this board. There are many reasons why a person should consider purchasing this product. 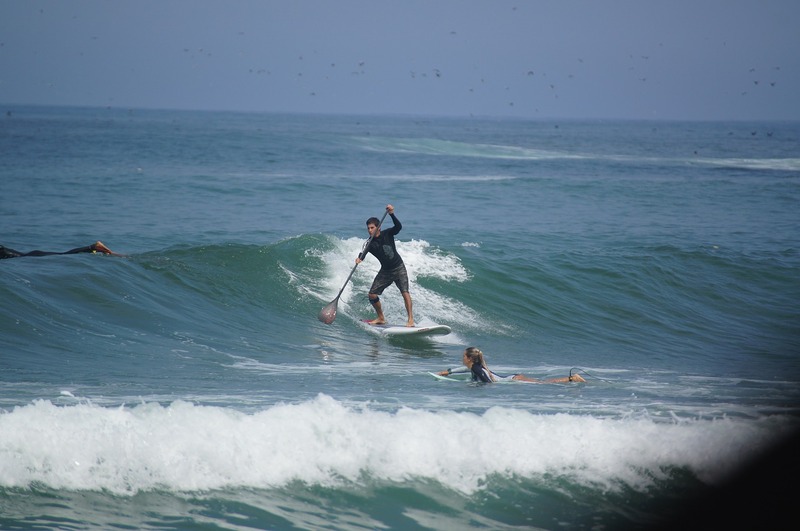 Differences between in performance between the 10ft iRocker board and the 11ft SUP board? 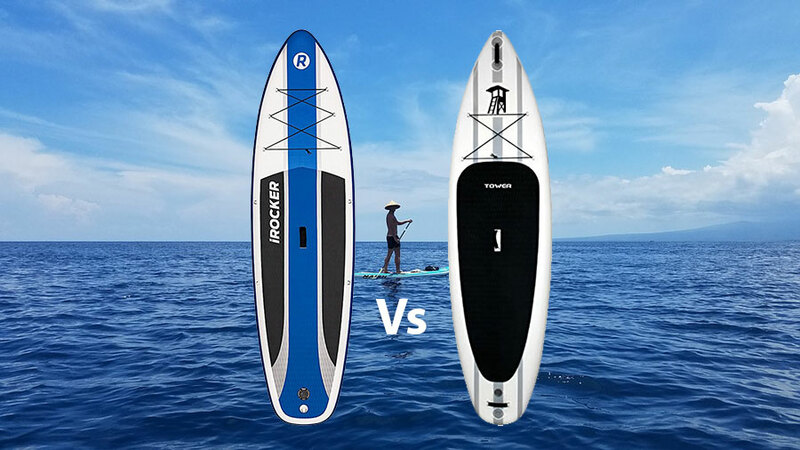 The difference in length will effect the performance, the 11 ft board is more stable and better suited to rougher water than the 10′ board, it is also better for heaver paddlers. 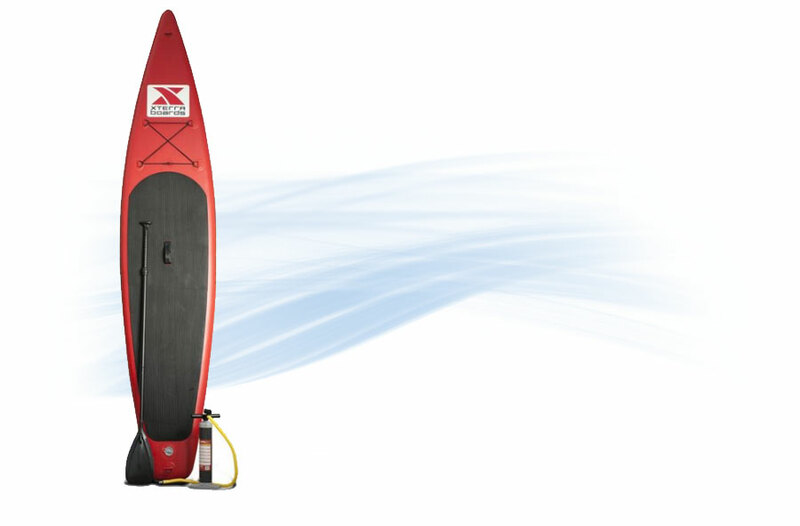 The 10ft iRocker SUP is more manoeuvrable and will have less drag in flat water. This board has a number of great features. When it is inflated it is 11 feet long by 30 inches wide. It is only 30 pounds so the board is easy to transport. The board is made from high quality material and will not be damaged if it goes over rocks. The board comes with everything a person needs to get going. It comes with a paddle, hand pump to inflate it, as well as a backpack for carrying. There is also a repair kit if something were to happen. Within a couple of minutes the board is fully inflated and a person can be on the water in no time at all. It is ready to go in no time at all. The pump is easy for the average person to use and takes a little bit of effort to fill it up. To inflate the board all a person has to do is unroll it and pump it up with the hand pump. This should take the average person less than five minutes to do. 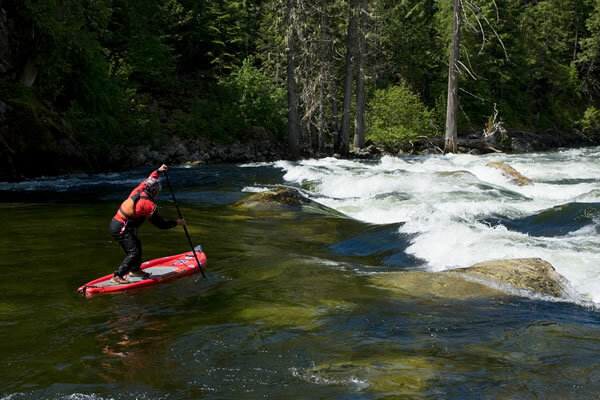 Once the board in inflated a person can put it in the water, get on it, and paddle away. Once the board is on the water a person will not have to worry. Even if it goes over a rock or if a person hits a low spot the board will not bust. This material is strong and will be able to handle all kinds of abuse. The board is stable and all a person has to do is paddle to steer it. This water device is suitable for people of all ages. 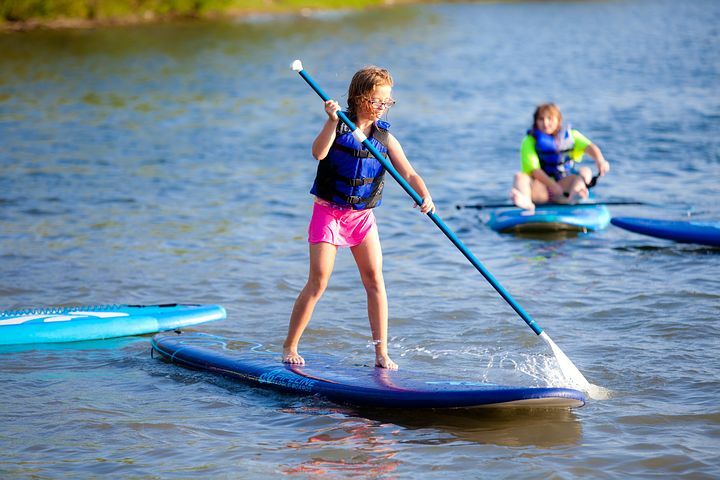 A child should never be left alone in a raft, paddle board, or any other form of device without adult supervision. 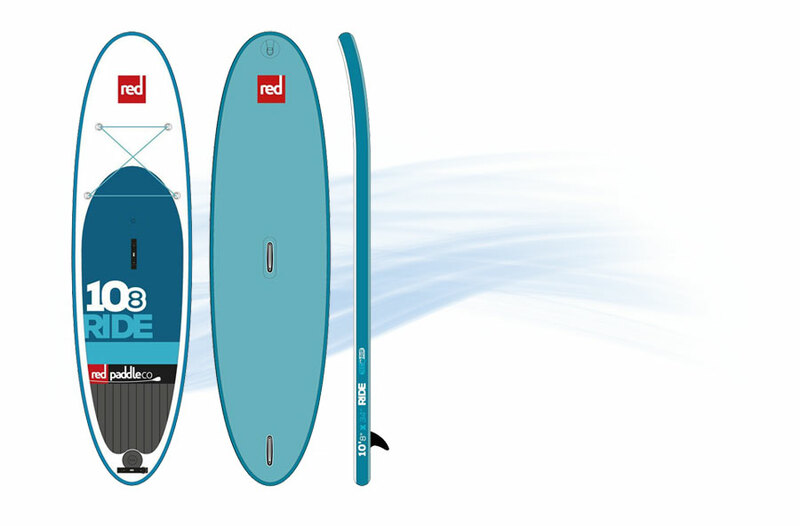 This inflatable board can be used by people of all skill levels. It is great for those that have experience on the water and those that are just getting the hang out boarding. This is a great summertime investment that will allow a person and their friends or family to have a great time on the water. When a person purchases this inflatable board there are many things that are included. There is a backpack where a person can deflate the raft and carry it with them. The board weights less than 30 pounds and it easy to travel with. A person will also get the adjustable length paddle that will allow them to steer and be in control of the raft. There is a pump where they will be able to put up the raft. There is also a repair kit so even if an emergency situation does happen a person will not be stuck on the river. 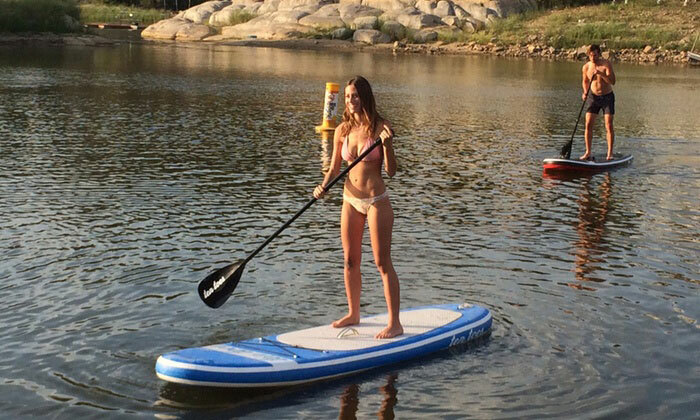 There are many benefits that come with using the iRocker paddle board . This raft comes with a pump so a person can carry it deflated for easy storage and they will be able to carry it. Once a person is ready they can inflate the board and they are ready to go. 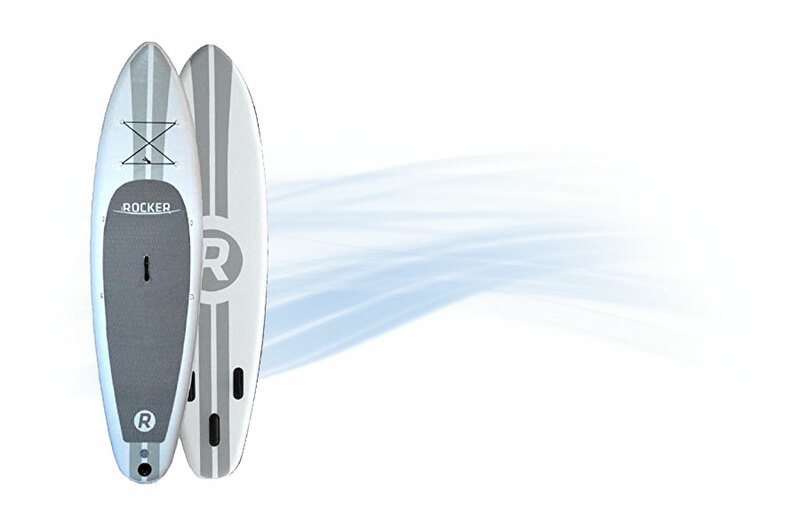 The iRocker Inflatable Paddle board is great for those that want some fun and adventure on the water. This board has everything a person needs in one kit. There is nothing extra that they have to buy. There is even a backpack for easy transportation. The board is easy to inflate and is ready in a couple of minutes. When a person is done for the day they can deflate the board, roll it up, and save it for their next adventure on the water.